"Alexa, what's the weather like today?" is just one question you can get the answer to using the Amazon Echo Dot. This hands-free, voice-controlled smart device features a built-in speaker that connects to the Alexa Voice Service to play music, make calls, send and receive messages, provide information, help you stay organized, and much more. The Echo Dot can be placed in any room in your home - keep Dot in the bedroom and use it as an alarm clock, or in the kitchen to set timers. With its built-in speaker, Dot can hear you from across the room even while music is playing. 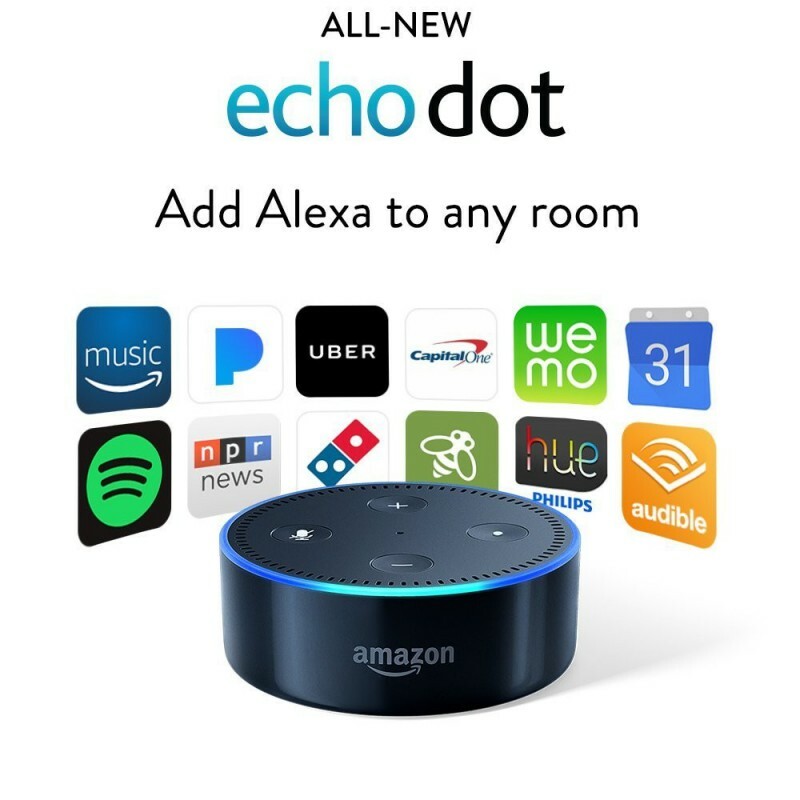 Echo Dot also works with smart home devices such as lights, switches, garages, and thermostats, as long you have compatible smart home connected devices. You'll love how this gadget not only provides you with hands-free convenience, but it'll lend a hand to help keep your daily life organized. When you want to use Echo Dot, simply say the wake word, "Alexa," and Dot will respond instantly. Since Alexa is the brain behind Echo Dot, it's always getting smarter, adapting to your speech patterns, vocabulary and personal preferences.